Yesterday I visited a project area in the Sheyenne River Valley in southeastern North Dakota, and on the way back from fieldwork I stopped by some static public historical signage and historical Scandinavian-American log cabins on one of America’s Scenic Byway routes. I snapped some photos, downloaded them in the computer last night, and then started to do a bit of research on the archaeological project area: history often informs the archaeology, since much happens with the history of an archaeological site before archaeologists have a chance to descend on it. While looking through a series of digitized photos, I came across a historic photo in the Digital Horizons/ND Institute for Regional Studies archive. 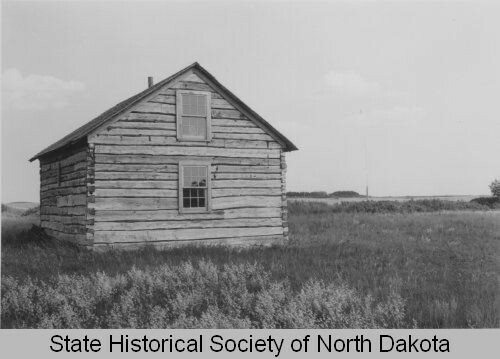 The photo is titled, “Building at Fort Ransom, N.D.,” and it is a log cabin today located some miles north of Fort Ransom, N.D. I compared the historic with the modern this morning. Below are the photos I’ve looked at: one is a 1950s photo of the cabin, and below that is a June 16, 2013 photo. Note the gable-end elevation, and compare the shapes of the logs, and the seams of the logs. You’ll notice that they match one another. A photo of the Slattum cabin in the 1950s. A June 16, 2013 photo of the Slattum Cabin. Note the gable end elevation, and compare the seams of the log cabin with the seams of the gable elevation in the 1950s photo. They are the same. As the public historical signage said, this cabin was built in 1879 by Norwegian immigrant Theodore Slattum, and he originally hailed from Christiana, Norway. 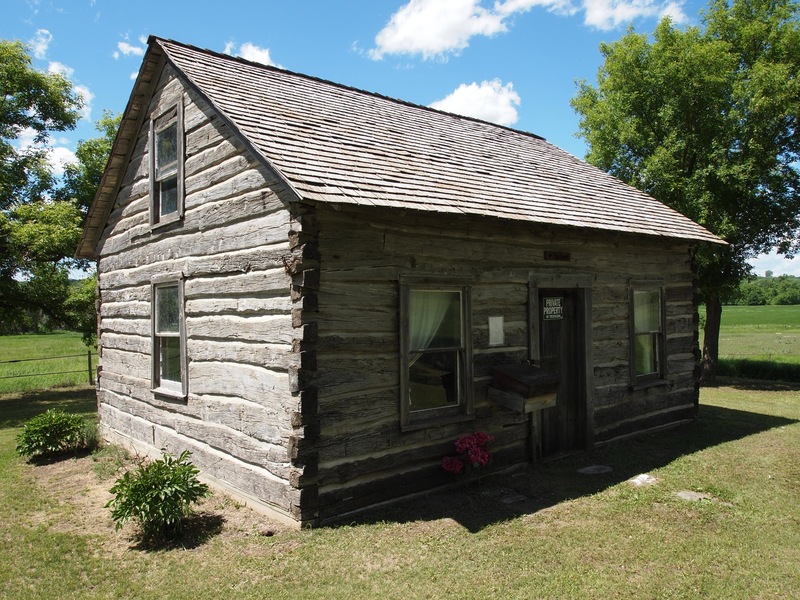 He immigrated to Fillmore County, Minnesota in 1870, and he and his wife, Jorgine, relocated to the Sheyenne River Valley in 1879, where they built this cabin. They also raised nine children in the cabin (they modified the original cabin from what it looks like here in the photos). In 1945, this cabin was moved to the Fort Ransom Historic Site, and then moved back to this original location at some point around the turn of the 20th century (this is likely why the description of the cabin’s provenience is what it is within Digital Horizons/NDIRS; and this is also an example of how history informs archaeology, and not the other way around). 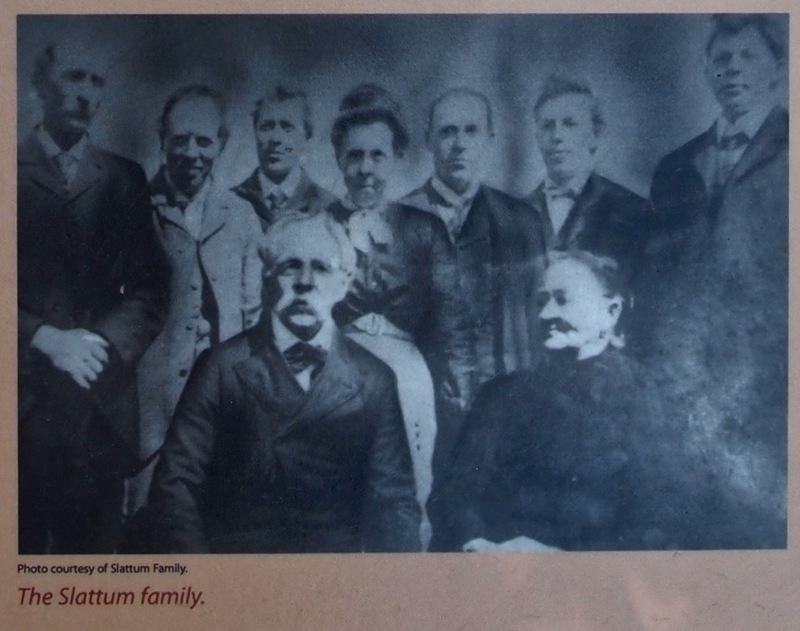 The Slattum family, this photo from the public historical signage at the cabin site. Photo taken on June 16, 2013. This entry was posted on Monday, June 17th, 2013 at 10:29 am	and tagged with Archaeology, History, North Dakota, Norway, Scandinavia and posted in Uncategorized. You can follow any responses to this entry through the RSS 2.0 feed. i am also influenced by scandinavian design!